Ethical leadership is a key ingredient for governance that is accountable and committed to the safety of citizens. More often than not, however, African security institutions are designed not to protect citizens but regimes in power. This makes them vulnerable to politicization. In addition, given the resources that security institutions control, often in opaque budgets, the temptation for corruption is strong. This ultimately undermines trust in government, which in turn breeds public resentment and at times violence. While unethical conduct remains all too common, there is a growing list of cases where security leaders acted ethically to avert crises, get democratic processes on track, and ultimately save lives. Tunisia and Burkina Faso are two such cases. Decisions taken by military leaders in these countries defused crises and demonstrated the enormous responsibility that security sector actors have by virtue of the fact that they wield the state’s coercive power. On January 15, 2011, after a month of clashes between protesters and presidential guard units around the presidential palace, Tunisian President Zine al-Abidine Ben Ali announced that he would step down after 23 years in office. The next weeks were filled with uncertainty and foreboding. However, as calm returned and the country began to take tentative steps toward a political transition, it became clear that the Tunisian military’s ethical, behind-the-scenes decisions had played a pivotal role in Ben Ali’s decision and helped avert a disaster. 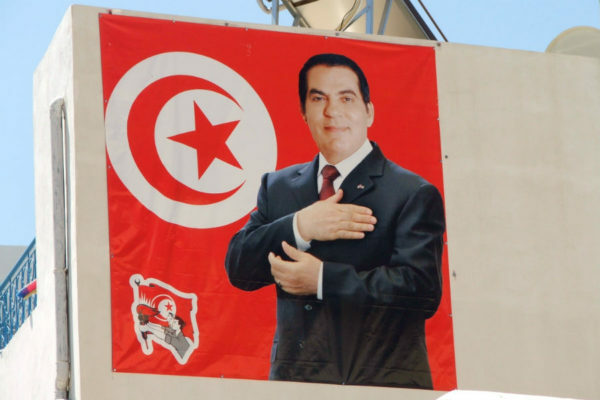 Ben Ali’s quick downfall took much of the international community by surprise, as Tunisia was widely perceived as a stable and relatively affluent country. However, social discontent had been building for years due to job shortages, corruption, growing inequality, and repression. The tensions finally came to a head on December 17, 2010, when Mohammed Bouazizi, a street vendor, set himself on fire in response to harassment from local officials. A wave of demonstrations quickly spread throughout Tunisia, including a strike observed by 90 percent of Tunisia’s 8,000 lawyers. Ben Ali deployed the feared State Security Agency to confront the protestors. Also known as the Secret Police, this highly politicized institution oversaw an extensive apparatus that maintained regime security and was widely accused of committing human rights abuses. Other elements deployed to quell demonstrations included the National Police, National Guard, and the Presidential Security Service—all of which were supervised by the Interior Ministry. According to the United Nations, at least 300 people were killed and 700 seriously injured between December 2010 and January 2011—a reminder that while Tunisia is often considered to have had a peaceful transition, violence was a factor. As the death toll rose, skirmishes between security forces and protestors became more intense. Police and other security elements struggled to contain the surge in protests, and Ben Ali ordered the military to provide reinforcements. But the military’s Chief of Staff, General Rachid Ammar, refused the order to deploy, insisting that the Tunisian military would not confront protestors, a decision supported by the general staff. While the order issued by the president did follow the chain of command, General Ammar viewed it as unethical and inconsistent with military values. The Tunisian military had long held a skeptical view of the security institutions overseen by the Interior Ministry. Tunisia’s first president, Habib Bourguiba, kept the military weak and in check by the highly politicized and better-armed National Guard. This policy continued under Ben Ali, who kept the army underequipped and underfunded to insulate his regime from military coups. By the time he was ousted, the Defense Ministry budget was barely half that of the Interior Ministry. While this caused distrust between the army and other security institutions, it also gave the Tunisian military a strong level of institutional autonomy. And it was this ethos of political neutrality and military professionalism that enabled the military to not only reject the order to reinforce the other security forces, but to deploy in a civilian protection role. The army positioned itself between protestors and the police, and even battled presidential guard forces clashing with protestors outside the palace. 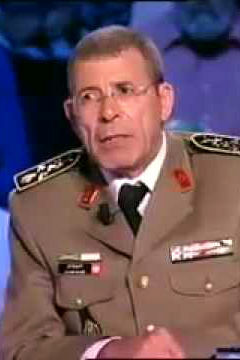 As a result of its actions, the army leadership commanded a high level of legitimacy and popularity for siding with reformists after Ben Ali’s departure. However, General Ammar insisted that the army would stay out of politics and continue to protect civilians as they negotiated a representative transitional government. On November 23, 2014, Tunisians cast their ballots in the first free and fair presidential election since independence in 1956. As the country continues on its path to democracy, the military continues to enjoy respect as a professional institution that played a key role in the transition. In the same way, a recent study on the Tunisian military finds that officers who have since retired express deep respect for the principle of civilian control, as well as the concept of democracy. On September 16, 2014, Burkina Faso was confronted with a different set of challenges, but the decisions taken by military leaders were no less fateful. Senior officers from the Regiment of Presidential Security, the country’s elite presidential guard, had stormed a Cabinet meeting and arrested Interim President Michel Kafando, Prime Minister Isaac Zida, and two ministers. The move plunged the country into crisis just a few weeks before elections that were to mark the end of a fragile political transition put in place a year earlier. As was the case in Tunisia, discontent had simmered for years. And on October 28, 2014, when Parliament sat to adopt a controversial proposal that would have allowed Blaise Compaoré—who had already been in office for 27 years—to extend his rule, hundreds of thousands of protestors marched on the capital. The following day, they gathered at strategic points, including the National Assembly, army headquarters, government buildings, and street junctions in and around the capital. By the end of the day, Compaoré had resigned and fled into exile, and after months of negotiation, a new transitional authority was established. The presidential guard was part of an extensive security bureaucracy that was fiercely loyal to the regime. It was considerably better equipped, trained, and supervised than the rest of Burkina Faso’s military and was actively involved in policymaking—a role it was reluctant to forego. As in Tunisia, Compaoré used the elite presidential guard to counterbalance the military, which he kept deployed outside the capital city. As in Tunisia, the Burkina Faso military had developed a sense of institutional integrity independent of political ties to the regime. The coup attempt by the presidential guard might have worked had it not been for a set of key decisions by the military establishment. Four days after the presidential guard had stormed the Cabinet, Army Chief of Staff Pingrenoma Zagre established contact with coup leader General Gilbert Diendere. Zagre said he hoped to avoid conflict and promised not to harm anyone who surrendered peacefully. But when Diendere defied a deadline, army units marched on the capital. On September 21, 2014, they entered Ouagadougou, forcing the coup leaders back into negotiations that led to the release the interim president, prime minister, and other senior officials. This paved the way for intensive diplomatic talks led by the Economic Community of West African States. On September 22, the transitional government resumed operations under the army’s protection. It announced the disbanding of the presidential guard, which the army initiated a week later, bringing an end to the guard’s era of unaccountable power. On November 29, 2014, Burkinabé citizens turned out to vote in the first democratic election since the ousting of Compaoré, marking a crucial milestone in the transition to democratic governance. Since then the military has embarked on an extensive reform initiative to further consolidate professionalism, a program that military leaders say embodies the slogan of “nothing will be like before,” a testament to the army’s support for reform. These two examples highlight the key role that ethical leadership plays in democratic transitions. In both cases the institutionalized independence of the military enabled it to distance itself from the partisan designs of the regime. In Tunisia, military leaders’ willingness to resist orders viewed as unethical ended up being central to deescalating the crisis. In both cases, the groundswell of popular support and prestige bestowed on the military for siding with reformers could have tempted leaders to seize power. But by resisting such expectations they maintained the integrity of their institutions and set important precedents for subordinating the military to civilian power. Émile Ouédraogo, “Advancing Military Professionalism in Africa,” Research Paper No. 6, Africa Center for Strategic Studies, July 2014. Émile Ouédraogo, “Military Professionalism in Africa,” video interview, Africa Center for Strategic Studies, September 2015. 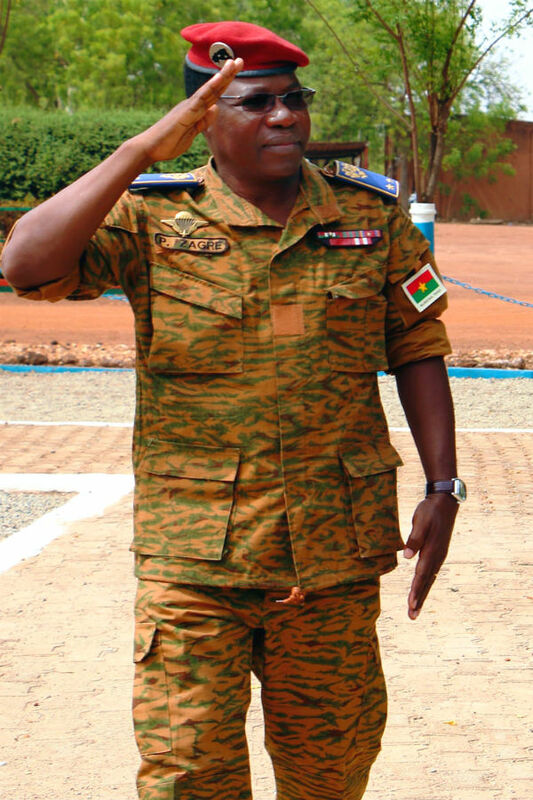 Dorina Bekoe, “Unloved but Unyielding: Burkina’s Presidential Guard Could Derail Transition,” IRIN News, February 13, 2015. Sharan Grewal, “A Quiet Revolution: The Tunisian Military after Ben Ali,” Carnegie Endowment for International Peace, February 24, 2016. William Maclean, “Tunisia Army Pivotal to Ben Ali Ousting: Reports,” Reuters, January 17, 2011.